The Forbidden City is a very large complex of pavilions, palaces, gardens and courtyards located in the center of Beijing, the Chinese capital. 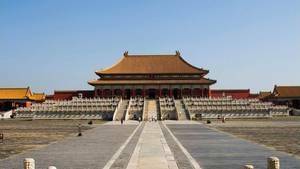 It is the ancient palace of the emperors of China and as such it was the most sacred place of the country since its construction, in 1420. 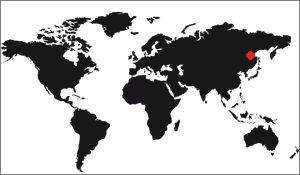 It was used until the beginning of the XXth century, when the Republic is chasing the last emperor, Pu Yi. Nowadays it is a huge museum, it is also the largest historical wooden ensemble recognized by UNESCO. It has an inestimable value and is an integral part of the history of China, as it can be the Great Wall (which, nevertheless, had a much lesser historical role). 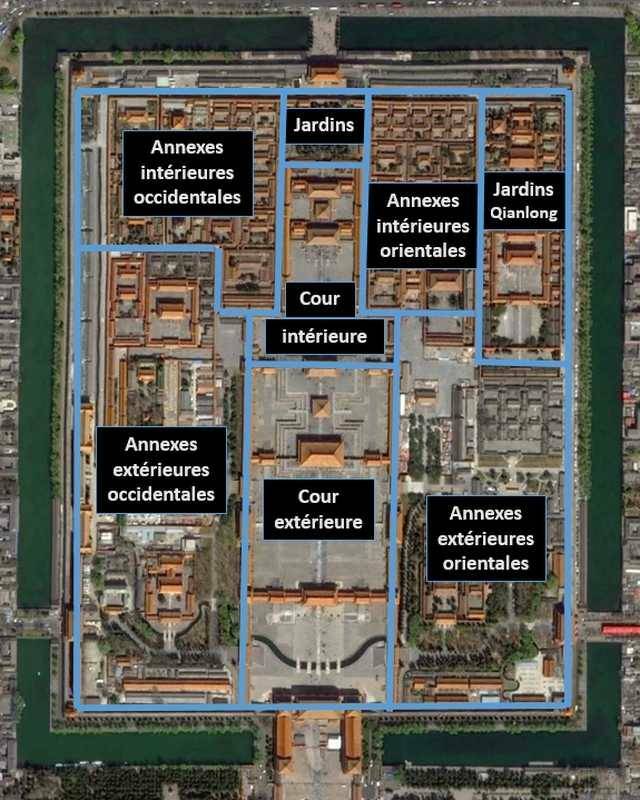 The forbidden city has a rectangular shape, its layout is largely symmetrical, although this symmetry is lacking in many places. The outer court was the seat of power, it was there that the emperor made his decisions on the country, it is there also where he met the foreign personalities visiting him. The inner courtyard corresponded to the private apartments of the Emperor. Both courtyards were linked to eastern and western annexes, forming the bulk of the palace. But over time the palace underwent some - rare - transformations, with the development of the Imperial Garden, north of the complex, and the Qianlong Palace, at the Northeast corner. Finally we must know that the palace was equipped with many defenses, even if according to the periods they were there only in principle since the place was so revered that people would have thought to attack it. That's what happened anyway during the peasant revolts, but such attacks were rare.